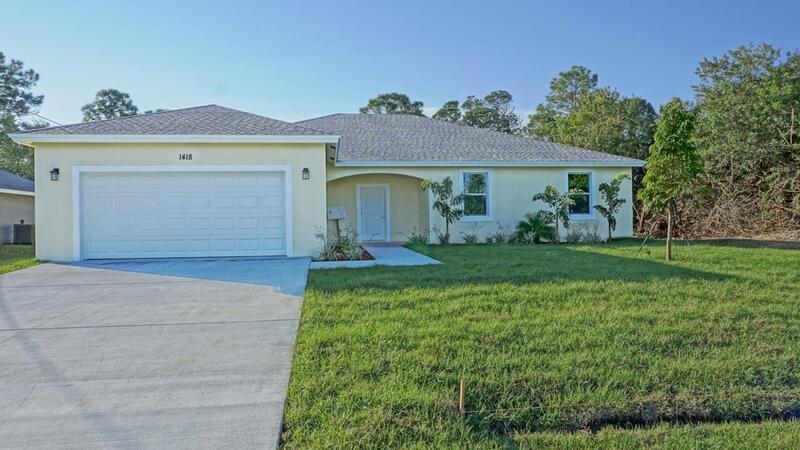 Contemporary new construction with loads of upgrades. 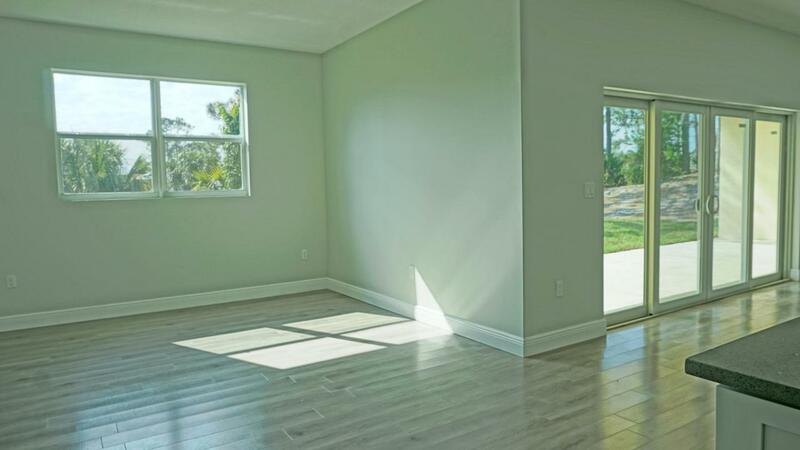 Move right into this 4 bedroom, 2 bath home with 2261 square feet under air, an oversized 2 car garage, and a stylish open floor plan. Upgrades include impact glass windows & doors, 42 inch soft close kitchen cabinets, upgraded stainless pulls, Quartz countertops, Samsung S.S. appliance package, 100% waterproof wood look flooring throughout, custom bathroom vanities with Quartz countertops, upgraded tile in showers, 10 ft ceilings & upgraded 8-foot interior doors. 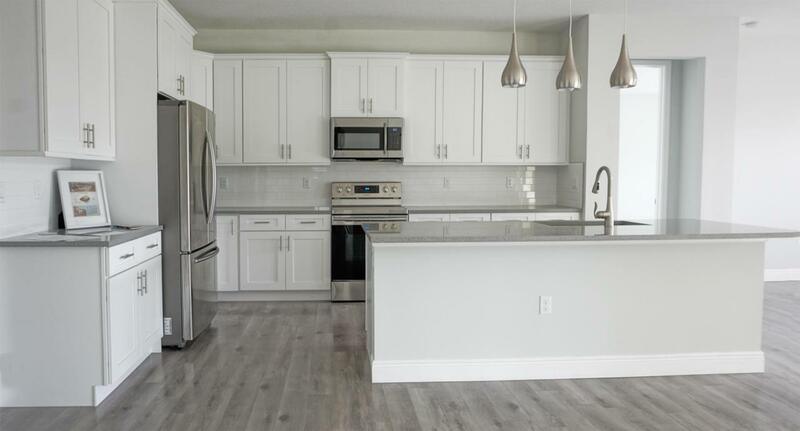 Contemporary lighting and plumbing fixtures throughout. The oversized master bedroom features his and her closets, spacious master bath with double vanities and a huge shower. 3 guest bedrooms are spacious, one with Double doors to porch.Enjoy the evenings on the spacious covered tiled back porch for relaxing. 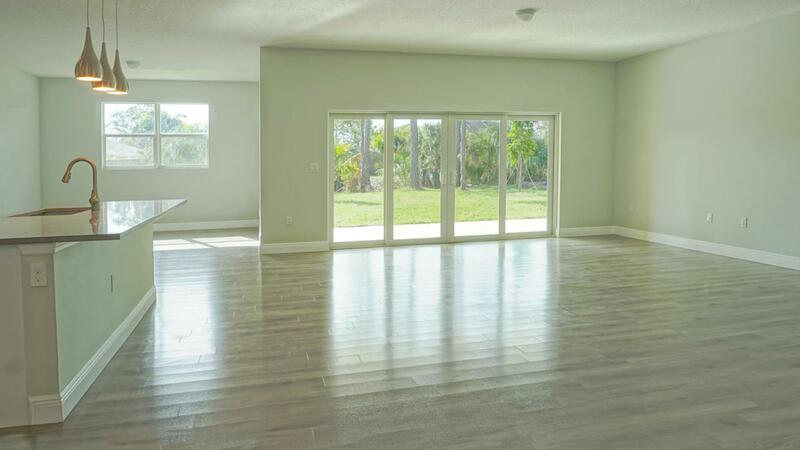 This home is in a great location just off Becker with easy access to 95 and shopping.